Parathas are the latest craze in our home. Soft pliable roti wrapping softer cheese leaves you with lingering taste of spices and creaminess. I am not a fan of store brought paneer, but prefer the firmness of the cubes for kurmas. However, for parathas, you need soft cheese that will work with you as you knead the stuffing. 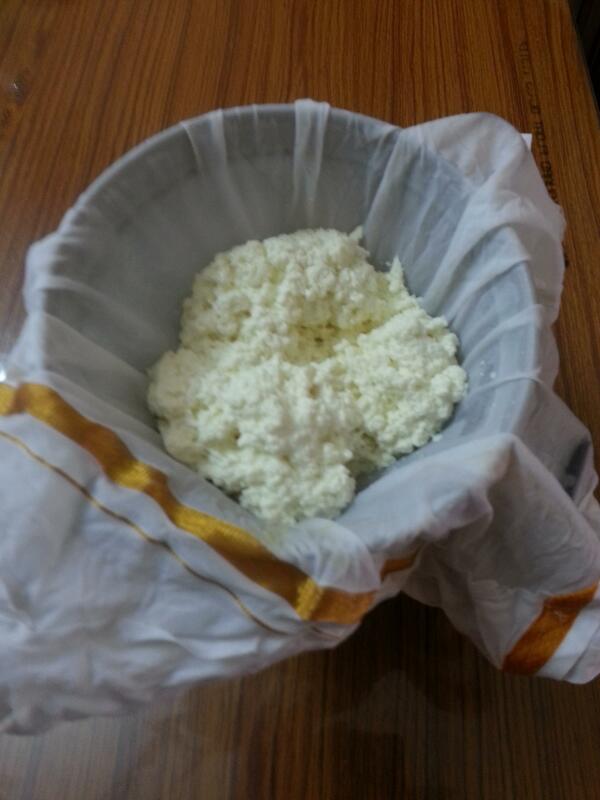 Home made paneer is the best way to get soft cheese. I thought to give the paneer cloth an ‘identity’..also it should serve the purpose of filtering the whey water in a more elegant way. My grandma had this all the time, where she kept coins and her tobacco. The coins bearing a ‘signature’ smell that shall laugh at us with a jingle will make us plead her for buying candies. The ‘santa’s’ bag well tucked in my grandma’s Saree was my inspiration for this little diy project. If you are joining multiple patches like me, make sure to cut the edges in a 45 degree angle and patch. Sew the both sides of the strip on the edge, run a chord inside the channel. 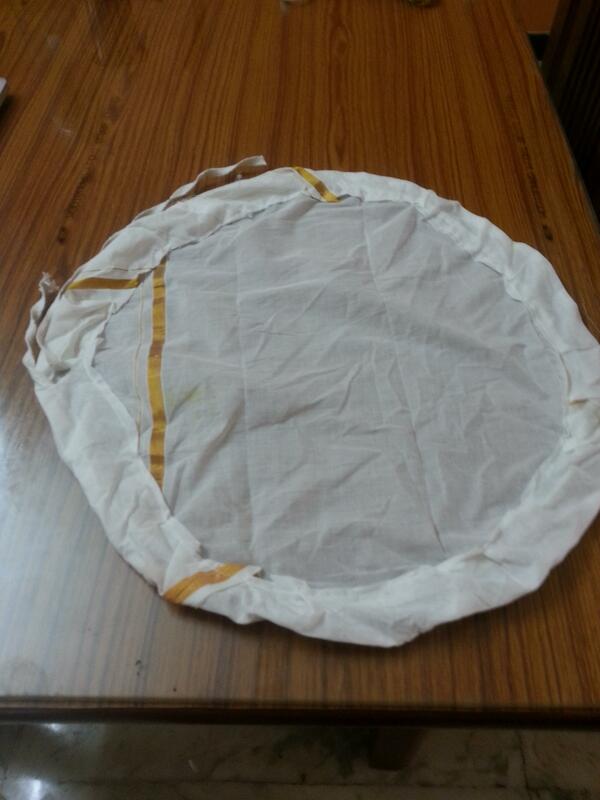 The surukku pai/ cheese cloth bag is now ready. Enjoy a diy time ! A year long graving to make rasgulla from scratch came true at last. I had made this in India but was reluctant to make it here so long. After I saw the posts from my fellow bloggers Priya and Priya, I was confident in trying my experiment. Wow, the outcome was excellent. The method is almost similar to that of my friends but a little variation. 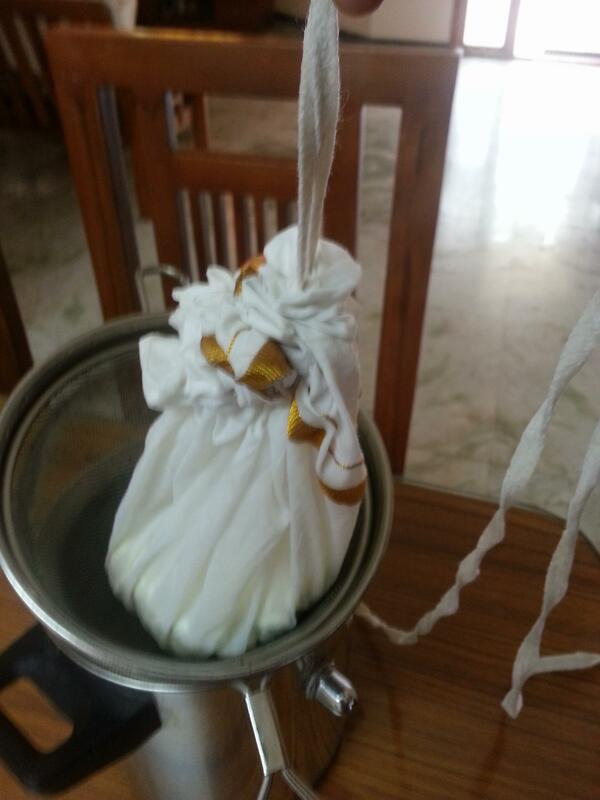 Let the curdled milk cook for another 5 min and strain the cheese in a cheese cloth. 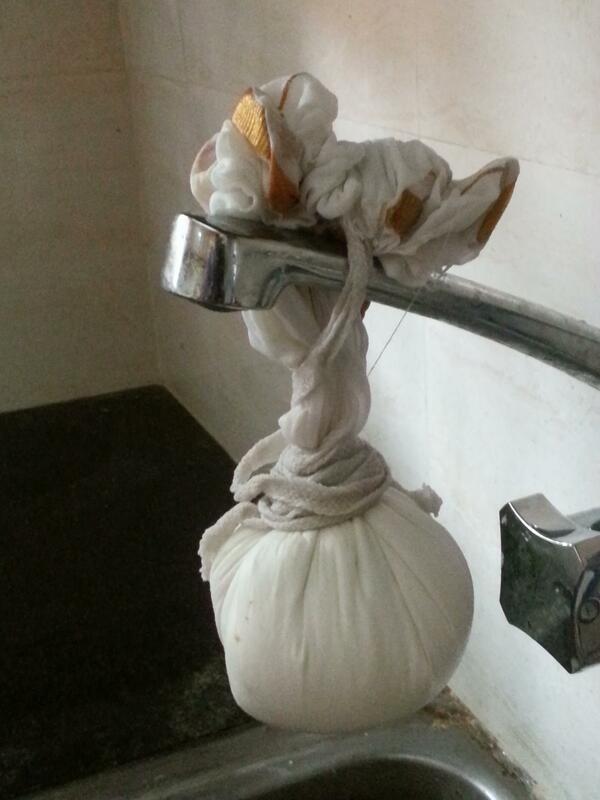 Rinse this with cold running water and let it hang for 2-3 hours. When it drained fully , run the cheese in a food processor. I used the wet grinder. Add maida to the processed cheese and knead well. Make small balls of uniform size with a diamond kalkandu (sugar candy) in the centre. These sugar crystals will melt away when cooking, leaving a hallow centre. Boil large amount of water in a 5 lt cooker and drop the balls .Close the lid and pressure cook . I cooked till I heard the first whistle. When you open the lid all the balls must be floating on top- a sign for doneness. Pour out the water and rinse with cold water. By the other side, prepare the sugar syrup. The syrup for rasgulla is usually thinner than that of gulab jamuns. Add cardamom or rose water as you desire. Now, take the balls one by one , press each of them in between the palms and squeeze out the plain water and drop them in the syrup. The flattened balls will swing back to shape in a zap. You can get help from the kids at home as they would love doing this. Serve with some nuts on top. The syrup in the centre hole will be a pleasant surprise for everyone.